We are happy to facilitate our customers' communication through Skype for Business and the Competella Unified Communication Suite with our Contact Centers, Attendant Console and Office User add-ons. Explore some of our customer case studies from various sectors. GN Audio (Jabra) and GN Hearing (Resound) are affiliated corporations - both global companies and leaders within their line of business, headset and hearing aid devices. For years, GN have utilized Microsoft Lync as internal Unified communications platform. Due to extensive, worldwide user adoption, GN decided to utilize Lync as “enterprise telephony platform”. As a natural step on this journey, a need for adding call center capabilities was close in the wake. Resound however faced the challenge that their current Cisco Contact Center was not integrated nor compatible with Lync/Skype for Business. Competella and Resound went into workshops with their EMEA customer service managers – this means that the feature requirements was specified by the business owners. In summer 2015, Resound went into a PoC (proof of concept) with Competella Contact Center Enterprise; a live trial for the Danish sales support team consisting of 8 agents. The system was very well received, and had proven its worth by October 2015. From November 2015 until January 2016 Resound deployed the Competella Contact Center Enterprise throughout APAC and EMEA. During the fall 2015, GN Audio (Jabra) upgraded their Lync 2010 platform to Skype for Business. Their current Aspect call center solution, did not support Skype for business at that time. Jabra decided to make benefit from the positive experiences in their sister organization, and decided to move forward with a full rollout of Competella Contact Center Enterprise providing lower TCO and higher flexibility. GN Audio moved very fast in the process of replacing the Aspect solution with Competella Contact Center Enterprise – after only three weeks, the Jabra customer service in Boston/MA went live with Competella. Since then, all EMEA and APAC locations have migrated to Competella Contact Center Enterprise with great success. According to Nicolai Storm Lund; Senior Director at GN Global IT – the Competella solution is fulfilling the business needs; enhance customer perception for GN Hearing and GN Audio. “I´m pleased with our Skype for Business in general, but especial with Competella as a native Skype for Business and Contact Center. Nicolai Storm Lund continues; “On top we are harvesting the benefits of less resources needed to operate the system and on a daily basis, Jabra and Resound saves money since the TCO is much lower than with our previous systems”. Competella has delivered the call center solution for the winner of "Best Customer Service in Norway" at the Norwegian Customer Service Conference 2016 and 2017. At Northern Europe's largest customer conference, Call Center Week 2016 and 2017 Frende Forsikring was awarded ¨Best customer service¨ in the insurance industry. - Customers easily found the correct and friendly customer service representatives who questioned, listened well, was dedicated, had good product knowledge, gave clients very good solutions and had very satisfied customers. - SeeYou which conducted the study have been calling all 118 call centers in 16 different industries. 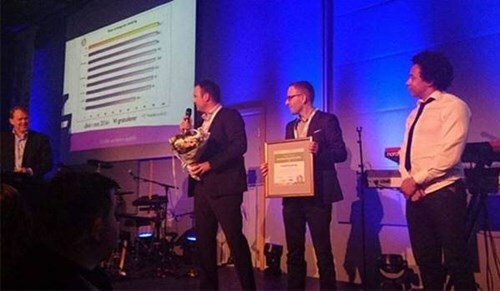 The call centers have been analyzed without notice with "mystery calling" where they have tested latency, expertise, selling and closing, says Thomas Otto, who is Head of Department Support and Service, which together with Bjorn Bohne, Head of Client outgoing, received high honors at Fornebu just outside Oslo Norway. A total of 2950 calls have been made. During the conversations the call center is rated on each question, which together provide a total score. Here Frende got 91.1 in score out of 100, and won the ¨best customer service¨ in the insurance industry. Only three times in history have insurance scored higher than this. This is huge, it is amazing, says Bjorn Bohne. Our advisers received very positive feedback from customers. In Frende we have a small customer service where we have a constant focus on our employees and their skills. We are focusing on that the customer receives the individual help they actually need, and we do that by empowering our employees with ¨freedom under responsibility¨, says Bjorn. Also sales and marketing director Erik Bjordal is proud today, recognize that we a few years ago had poor service availability and complaints from both customers and distributors! - Now we have a glorious position at the Customer Days in Bergen, and then we top it all by winning the largest test of call centers in Norway. It shows that we have succeeded in our strategy, building expertise and focused on our customer service. The last three years have been quite a journey, says Erik. - I am incredibly proud of what our customer service center have achieved. They support our important customers and always put the customer first, providing proper service, support and consulting. Thanks to skilled employees and the efficient call center solution from Competella, we are best in class. We greatly appreciate our good relationship with Competella for providing our Call Centre Solution. Gunnebo is a global security group, which provides bank security, cash handling, secure storage and entrance control solutions and services developed in close collaboration with customers and business partners worldwide. In 2007, the company implemented Microsoft Office Communications Server to improve communication between its multiple IT departments around the world. Initially the key feature for the users was Instant Messaging. In 2009, Gunnebo decided to do something about its complex telephony environment in order to better serve its customers. The company’s mixed telephony environment with numerous PBX’s and phone numbers was causing challenges, especially for its contact center when it came to putting a phone call through to the right person within the company. After evaluating various solutions on the market Gunnebo decided to deploy Competella Unified Communication Suite for Skype for Business (Lync). The Competella system is Skype for Business (Lync) native and includes Attendant Console, Contact Center Enterprise, Interactive Voice Response (IVR) and Instant Messaging (IM). Gunnebo estimates that it has saved approximately €235,000 annually by replacing their 15 PBX’s with Skype for Business (Lync) based on four servers. “Competella Unified Communication Suite gave us rich features and a user-friendly solution,” says Björn Nilson, CTO at Gunnebo. Asplan Viak AS is one of the leading consulting companies in Norway with more than 700 employees in 20 locations. The business areas includes planning and analysis, architecture and landscaping, construction, installations, transport, energy and environmental solutions. With projects not only in Norway but all over the world Asplan Viak deployed Skype for Business (Lync) in 2011 for instant messaging, desktop sharing and video conferencing to be able to work more efficiently and to reduce the need for travelling. Asplan Viak wanted to move forward and create a fully integrated communications solution for the employees, including Enterprise Voice. In Q3 2012, they replaced their legacy Aastra PBX’s with a complete Skype for Business (Lync) system. They had a need for a native Skype for Business (Lync) advanced attendant console solution. After evaluating different systems on the market, they decided to deploy the Competella Attendant Console. To be able to present mobile phone status in Skype for Business (Lync) and for integration with Exchange Calendar and Mail they also deployed some additional applications from the Competella Unified Communication Suite. “After the introduction of Skype for Business (Lync) and the Competella solution we have a complete communication system. Many of the meetings can now take place via Skype for Business (Lync) and we have been able to reduce the cost of travelling says Per Steinar Longfjeld – responsible for the Skype for Business (Lync) system at Asplan Viak. Horten is the 5th largest ”Full Service” law firm in Denmark, with special focus on business and public law. Horten consist of approx. 250 employees and moved to new office buildings in Hellerup by mid November 2009. 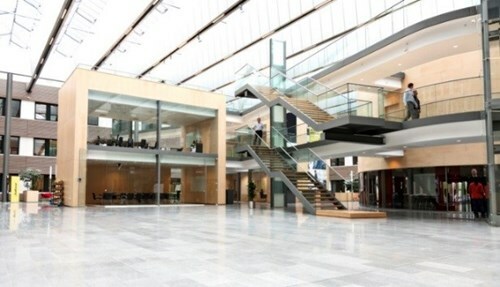 During the movement, Horten decided not to bring along their old legacy PBX; Ericsson Business Phone to their new office building, so from the very first day at their new business address, they also activated a brand new telecom system from Microsoft. Even though Horten was able to implement a bunch of new telecom features into their new office building, it was still very important that Horten was able to continuously deliver their well known customer service; physically when customers was visiting Horten in Hellerup, as well as when clients calling Horten directly by phone. ”It has always been very important for us to be able to deliver a high degree of personal touch to our clients, including over the phone from the very first second they call us. Our main business is of cause to deliver first class legal advice, but if it is not done “hand-in-hand” with a solid service experience, we might face a problem quite fast” states Mr. Nicholas Hansen, IT Manager at Horten. “For us it is very important to have the right tools for i.e. our switchboard/receptionists, as they are by far the most important interface toward our customers and business Partners. But it was not that easy to find a professional attendant application that could fulfill our expectations in that area” Nicholas Hansen continue. Horten implemented from the start Microsoft’s own attendant solution; Lync Attendant 2010, even lack of some features when it comes to fast and flexible call handling. Due to that, a process was initiated to find and evaluate suitable alternatives. The telephony implementation at Horten today consist of a pure Skype for Business (Lync) in conjunction with the employers cell phone. And as the Attendant solution, Horten chose a solution from Competella based on the product; Competella Attendant Console. ”I had for long time been looking for a switchboard/attendant product that was 100 % integrated with Skype for Business platform, delivering at the same time a maximum utilization of i.e. the MS Exchange, but also allowing a smooth integration to other external systems, having the administration of the complete Telco system as nice and easy as possible. And as far as I could see, Competella was the only supplier able delivering this” explains Nicholas Hansen. Fertin Pharma is one of the leading pharmaceutical companies in the world, when it comes to pharmaceutical chewing gum. Especially chewing gum to prevent smoking is core focus for the company. Fertin Pharma is located in Vejle, with approximately 400 employees. In connection with a technology face-out of an old analogue PABC (Philips IS3000), and the transformation toward a voice/telephony platform based on Skype for Business (MS Lync), Fertin Pharma had to replace their existing PC based attendant solution, due to a poor integration to Skype for Business (Lync). It was key to the company, that they continued to have a high level of traditional attendant features, even though they would get some new features “out of the box” with Skype for Business (MS Lync). “Quite quickly we had a list of features that was essential for or reception and attendants in Vejle. These functions were a necessity when we should go live with the Skype for Busines (MS Lync) system” explains IT Manager Thomas Bøge Mikkelsen. 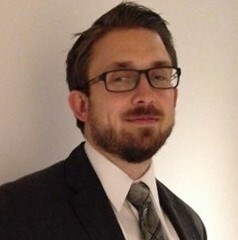 “We evaluated several switchboard attendant systems from different 3rd party vendors, but quite quickly it became clear for us, that the way Competella - on the technology side - , had developed and implemented their application directly onto Skype for Business (Lync) via the Microsoft API; UCMA (Unified Communication Manager API), was quite unique. From our point of view it should lead to several benefits, i.e. that the deployment and system management would easy and transparent, as the Competella system would act and respond as an integrated part of our Skype for Business (Lync) system in a pure and native Windows environment. And when it turns out, that Competella Attendant Console matched (and even went above) our system feature “check list”, the decision was easy” Thomas Bøge Mikkelsen continued. In the beginning of April 2011, Fertin Pharma implemented their present Lync 2010 as a voice enabled platform together with Competella, in parallel with their old Phillips system, which continued to be in daily operation. During a 6 months transition period, some users were on the MS Lync voice platform, while some users were still on the Phillips platform. But as of today (February 2012); all users has been converted and moved onto a pure MS Lync platform. “The implementation of Competella went as expected. There were a few smaller adjustments we had to get in place the first day, but that was anticipated as both Competella and Skype for Business (MS Lync) was generally new in the marketplace in the spring 2011. After the deployment, new features and functions was developed from Competella, and after normal testing procedure, they went into live on our Skype for Business /Competella system” explains Thomas Bøge Mikkelsen. ”We have been in close cooperation with Competella, and in October 2011 we took a new step forward and agreed to test the next major release of Competella and even before it became general available for other Competella customers. That was a “calculated” move from our side, as we might be able to prioritize some of the coming features in general, and might even be able to influent Competella to make some features “customized” for Fertin Pharma. And I think it has been the benefit of both parties, as we today have a very good system that turned out to be the right choice for us with a good daily operation for our attendants” finalized Thomas Bøge Mikkelsen. Today Fertin Pharma use the Competella Attendant Console R2 for Skype for Business Server and have since April 2011 been using the system for approx. 375 Skype for Business voice users and 2 concurrent attendants. Want more information about customer references?